Hello! Sorry for missing last week, I was out of town! I will be making up for that today! This week's theme is Beach. I tried to represent a gorgeous beach sunsent with a gradient. It didn't come out as well I would have liked. I used Zoya Pippa, China Glaze Pool Party and Orchid Tiki Torched. And here's my texture polish from last week! 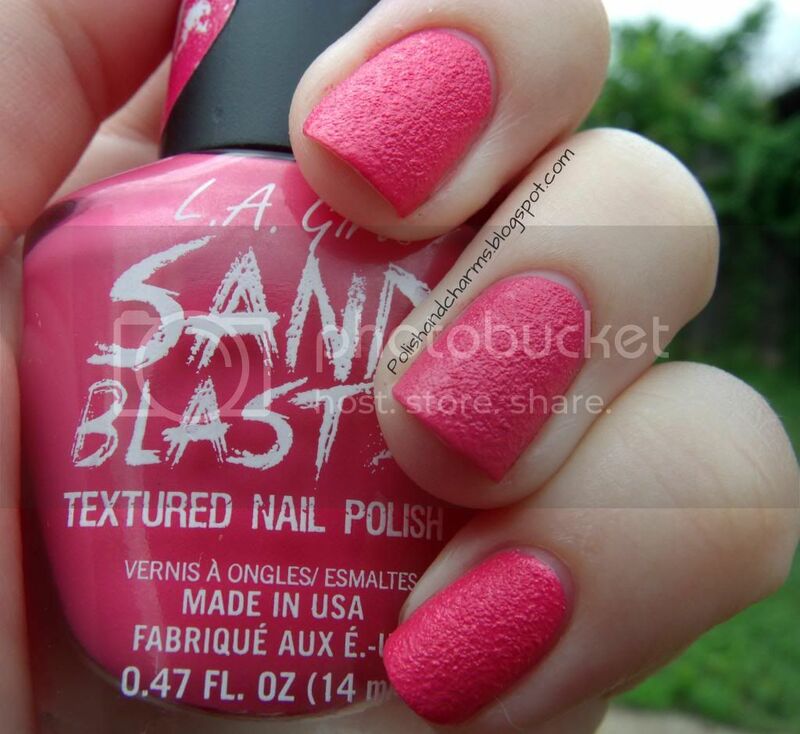 This is LA Girl Sand Blast in Sandals. 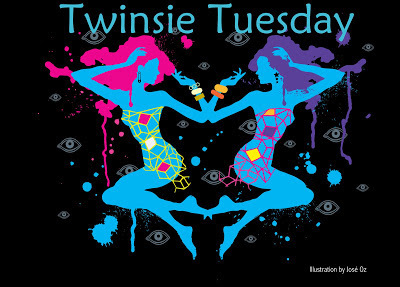 Don't forget to check out the other twinsie's posts for today! I really like the color of Sandals! It's very different from the other textured shades we typically see. Love that you did a sunset! Very pretty. 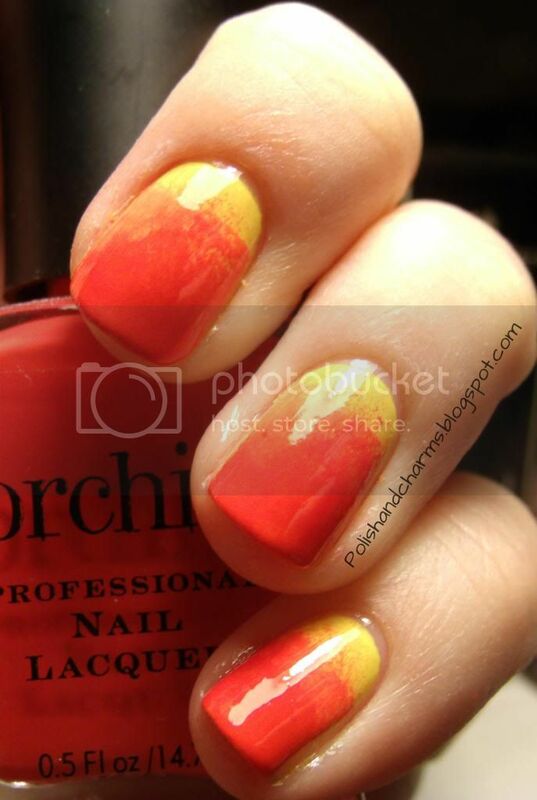 I love your beach nails - such warm sun and sand colors! They're both gorgeous! The colors are just perfect! Your gradient makes me think of the sunburn mani I considered doing. :) Very pretty. Both of these are so bright and fun! Your beach mani is perfect for summer! I really like your gradient! I love the sunset gradient AND the hot pink textured polish!! Hope you had a good time away!